Workshop: Saturday September 21, 1-4pm. Fee: $45. Pre-registration is required. The Berkeley Art Works will present a workshop for digital photographers who want to grow beyond the “point and shoot” stage and who want to learn how to get the best results for the images out of their digital cameras. Adobe Lightroom provides a combination of cutting edge technology and ease of use in an affordable software package. Photoshop Elements, the “Little Brother” of the professional version of Photoshop is still a powerful tool capable of serious work. Rip Smith is an award-winning fine art and architectural photographer whose work has been exhibited nationally and regionally. He is also a member of the Berkeley Art Works “Artists At The Works” Gallery group. The Berkeley Art Works is a project of the Berkeley Arts Council and is located at 116 North Queen Street in Martinsburg. Online registration is available here on the Berkeley Art Works web site. For more information email berkeleyartswv@gmail.com or call 304-620-7277. 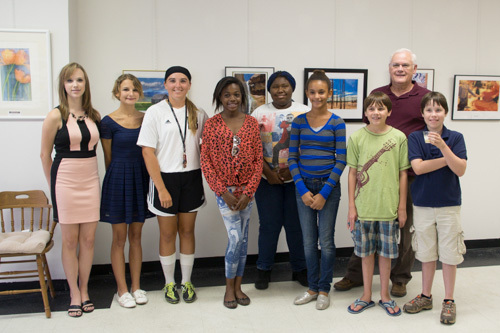 Last night the Berkeley Art Works hosted the opening reception for the “Youthful Visions”, an exhibit of photographs from the photography program at the Martinsburg Boys and Girls Club. The turnout was excellent and the photography was great. Eryn Fleming, Emma Stibi, Sarah Fizer, Jania Twyman, Sakora Moodie, Ivana Fitzgerald, Zane Collings and Ian Fleming with Instructor Pat Murphy in the back on the right. 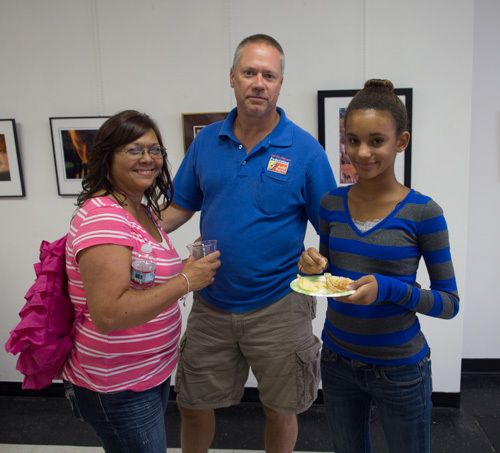 The student photographers had the exciting experience of seeing their work displayed in a nice gallery environment and they received kudos from their families, friends and the other attendees to the reception. Photographers Eryn Flemming and Emma Stibi looking at the photos up close. 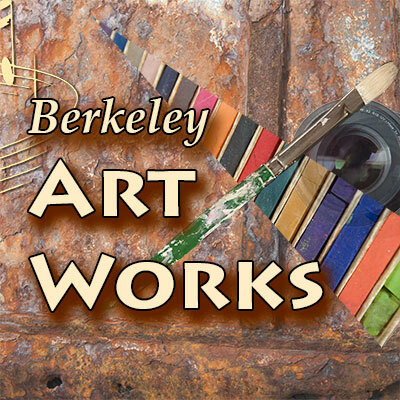 The Berkeley Art Works is accepting submissions from artists and artisans who wish to show and sell their work in a co-op style gallery in Martinsburg. Submissions will be considered for the “Artists At The Works” co-op group or alternatively, for the annual Holiday Art and Craft Market, which takes place in November and December. 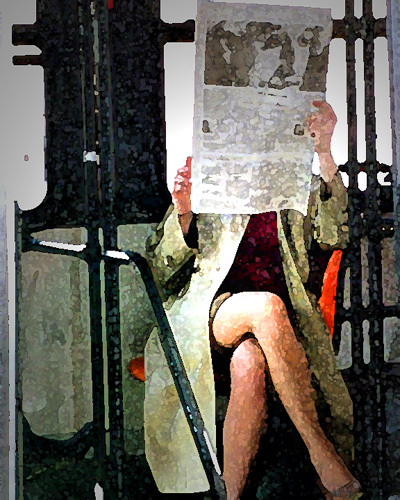 Artists are asked to submit 3-5 examples of their work for consideration. Work to be juried must be finished work, ready for display and sale. The items should be delivered to the Berkeley Art Works Gallery, 116 North Queen Street in Martinsburg during regular hours from Thursday, September 12 through Sunday, September 15. Gallery hours are Thu 12-5, Fri 12-8, Sat 12-5, Sun 12-3. Jurying will take place within two weeks of the submssion dates. More information about the “Artists At The Works is here. Download the Jury Form and Artist Agreement here. The Berkeley Art Works announces the accepted artists for the Eastern West Virginia Juried Art Exhibit. 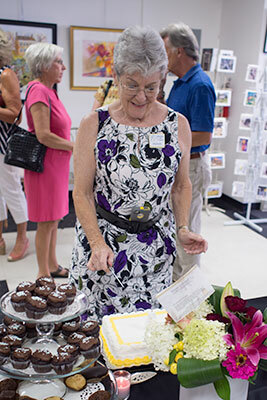 Juror Kathryn Burns selected 29 works by 19 artists from the Eastern Panhandle region of West Virginia. 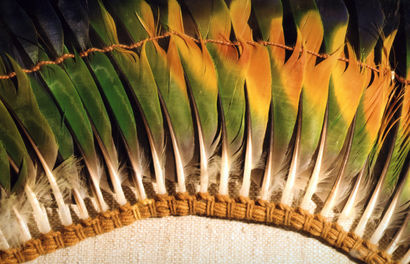 The work represents a wide range of techniques including various painting styles, hand-turned wood, metal work, photography and glass art. The public is invited to a reception at the Berkeley Art Works gallery, 116 North Queen Street in Martinsburg on Saturday, September 7 from 5-7pm to celebrate the creativity of our local and regional artists. The Berkeley Art Works will exhibit a selection of prints by the young photographers in the Martinsburg Boys and Girls Club photography program. There will be an opening reception Friday, August 23 from 5-7pm at “The Works” at 116 North Queen Street in Martinsburg. The event is free and the public is encouraged to attend and lend their support to these young artists. 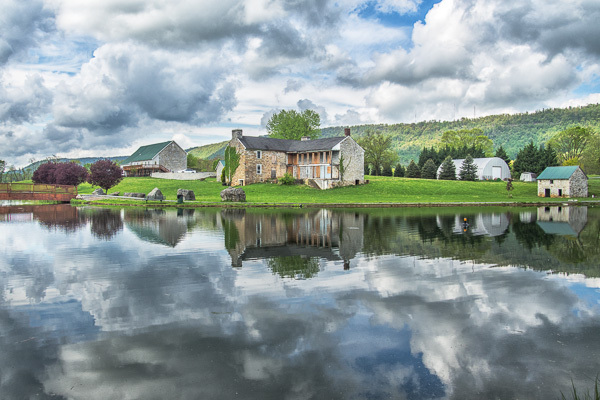 The exhibit will highlight two winning images from last year’s national Image Maker’s competition, sponsored by Sony, as well as a selection of local winners and entries from this year’s Berkeley County Youth Fair competition. The exhibit will be on display in the Berkeley Art Works Gallery, from August 23 through September 1. There is still time to register for the Berkeley Art Works fall classes that start next week on August 26. The class schedule runs from August 26 through October 3 and includes classes for adults and young people. The Berkeley Art Works is located at 116 North Queen Street in Martinsburg. Announced classes include Beginning and Intermediate Watercolor (Mon 6:30-8:30pm) Taught by Janie Multrup, Beginning and Intermediate Watercolor (Tue 10am-12 Noon) taught by Mary Klotz, Beginning and Intermediate Oil Painting (Tue 6:30-8:30pm) taught by Jean Kellogg, Sketching and Drawing (Wed 6-7pm) and Beginning Acrylics and Composition (7-9pm) taught by Jean Kellogg, and Adult Pottery (Thu 6:30-8:30pm) taught by Hilda Eiber. Also announced were youth art classes including “Art Academy” (13-18, Tue 4-6pm) taught by Jean Kellogg, Youth Pottery (9-13yrs, Thu 5-6pm) taught by Hilda Eiber, “Mommy and Me” Art Class (4-5yrs, Sat 9-10am), and “Jr. Art Academy” (7-9yrs, Sat 10:30-11:30am) taught by Katherine MacKinnon. Details and registration information are available at the Berkeley Art Works, 116 North Queen Street in Martinsburg or on the Berkeley Art Works web site, http://artworks.berkeleyartswv.org/instruction/. 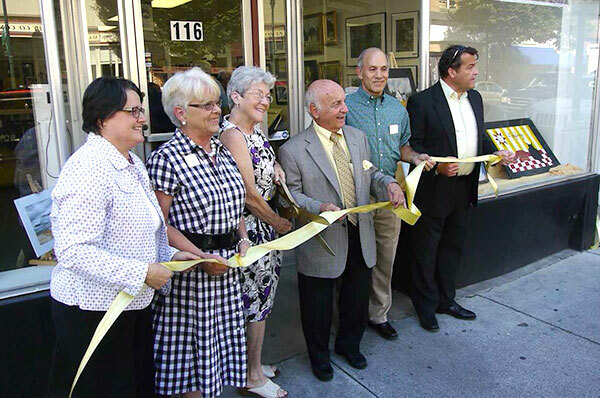 The Berkeley Art Works is now officially open after the ribbon cutting last night. 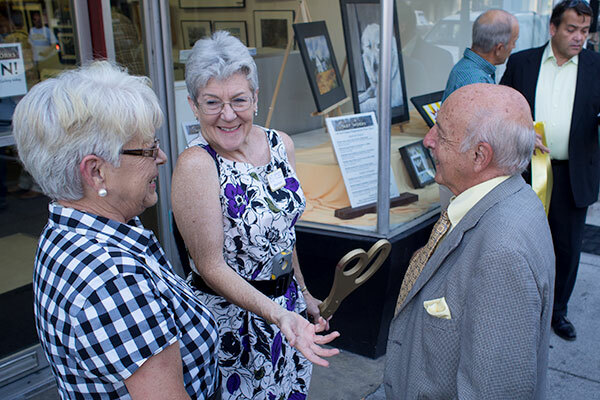 With the ribbon cutting and reception, the Berkeley Arts Council was also celebrating its 4th anniversary of incorporation on August 14, 2009. BAC Board Member Stephanie Godley and president Malinda Shaver chat with Mayor George Karos after the ribbon was cut. Malinda cuts the cake celebrating the Berkeley Arts Council’s 4th anniversary.